Gerilynn B. Krieg, 69, Killed In Delray Car Crash | Schuler, Halvorson, Weisser, Zoeller & Overbeck P.A. A Boynton Beach woman was killed in a three-car crash in suburban Delray Beach, the Palm Beach County Sheriff’s Office said. The Boynton Beach woman identified as Gerilynn B. Krieg, 69, was traveling in the northbound center lane of Jog Road waiting for a traffic light to cycle green at Champion Boulevard when she was hit by another vehicle. A car driven by a 72 year old of Delray Beach was traveling north in Jog Road’s inside lane when it lost control. His car began skidding and rotating clockwise, then entered the middle lane and struck the driver’s side door of Gerilynn B. Krieg’s car. The impact pushed both cars, along with a third car that was sitting at the light in the outside lane, into the intersection. 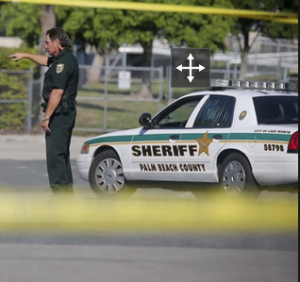 Krieg died at the scene, Palm Beach Sheriff’s Office said.